I just love Crocs shoes! I learned the value of comfortable shoes from my last job in a hospital which had me standing on my feet for hours at a time. Ever since then my criteria for buying shoes has always been about comfort first and style came in a close 2nd. Fortunately with Crocs I don’t have to sacrifice style for comfort. The shoe brand has come a long way in recent years. Once known only for their clunky yet comfortable style they now offer a variety of stylish and attractive shoes to chose from. I now own four pairs of Crocs (as seen above) and I can honestly say I rotate and wear them on a daily basis. I can walk for hours in any of the pair I own. I love their versatile style and my feet are truly grateful for the rubber cushioned comfort they provide. Also as an added bonus I can throw them into the washing machine when ever they get dirty. 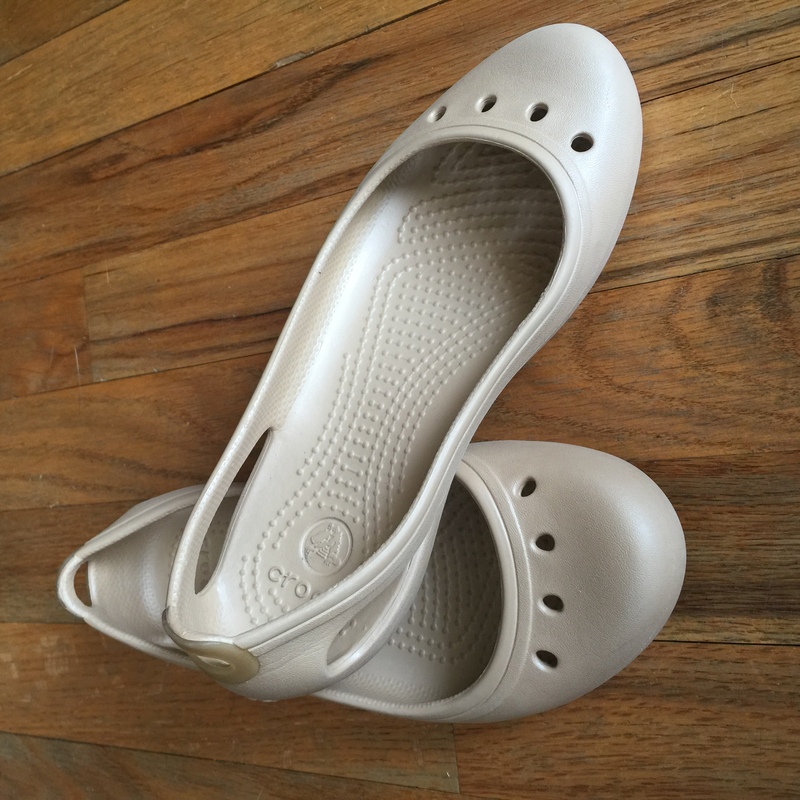 Today however I’m going to talk about how to stretch or shrink Crocs for a better fit. Above is the first pair of Crocs I bought over 2 years ago at TJ Maxx for $9.99. The retail price for the Kadee style is around $30. I usually wear between a size 5 to a 6 depending on the shoe brand and the pair above were a bit snug on me at a size 4 but I couldn’t resist the bargain. They ended up rubbing and scraping my ankles so I winded up not wearing them for awhile. 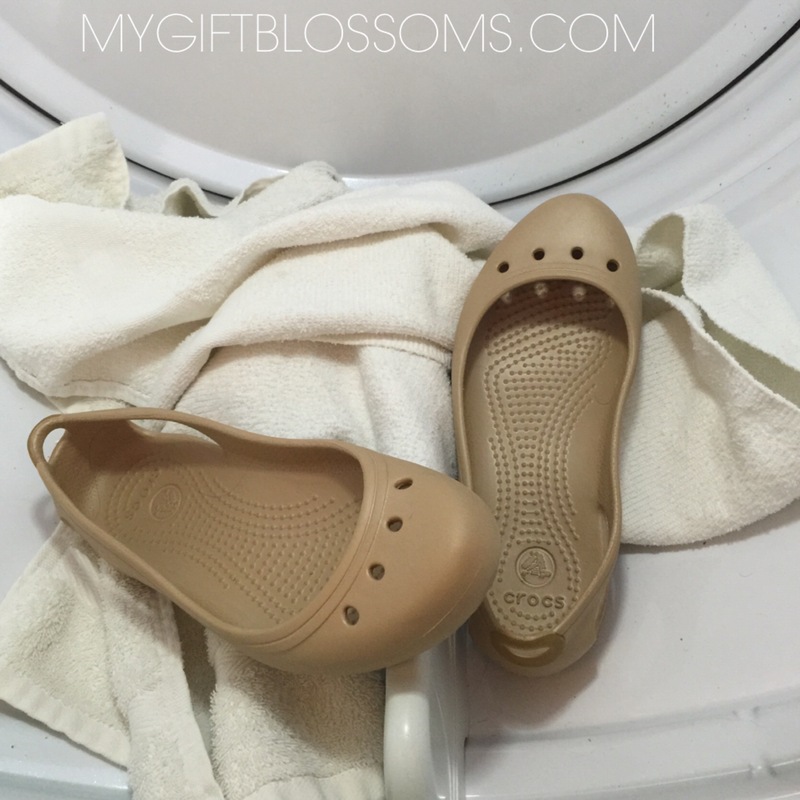 I looked online for a solution and was surprised to to learn that I could actually stretch or shrink Crocs by putting them in the dryer. So this is what worked for me: I put them in the dryer with towels to help diffuse the heat evenly. I recommend leaving them in for about 3 minutes at a time and to keep checking. Remove them from the dryer while still hot and pliable. Put them on while wearing thick socks to stretch them out. Walk around with them for about 5 minute while they cool off. If they are still tight after taking off your socks then put them back in the dryer for another 3 minutes and repeat stretching them out. Also if they get too loose throw them back and they will shrink back to size. This process really worked out for me and I was very happy with the results. I was able to stretch out the shoes for a more comfortable fit. If anyone out there has done this before please comment and let me know your results. 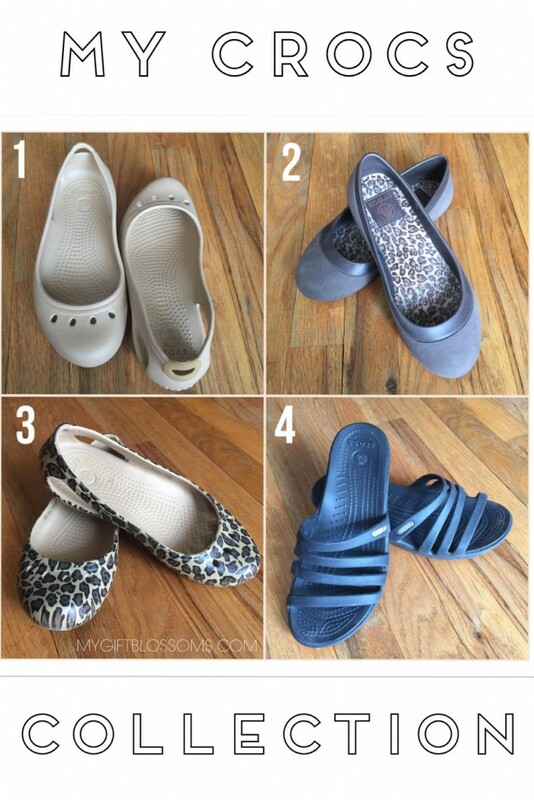 23 Responses to "DIY: How to Stretch or Shrink Crocs Shoes for a Better Fit"
Im going to try this today! Thank you! You’re a genius! %^)). Works great! I just received my pair of crocheted flats I bought on Zulily. I’ve bought a size 9 before in flats and returned them to the croc store because they were too big so this time I ordered a size 8. However, my toes are at the end. I am going to try this today!! I hope it works and thanks for the advice!! I’m so glad I found this!! I’ll let you know how they do. I hope it worked out for you. Great idea! 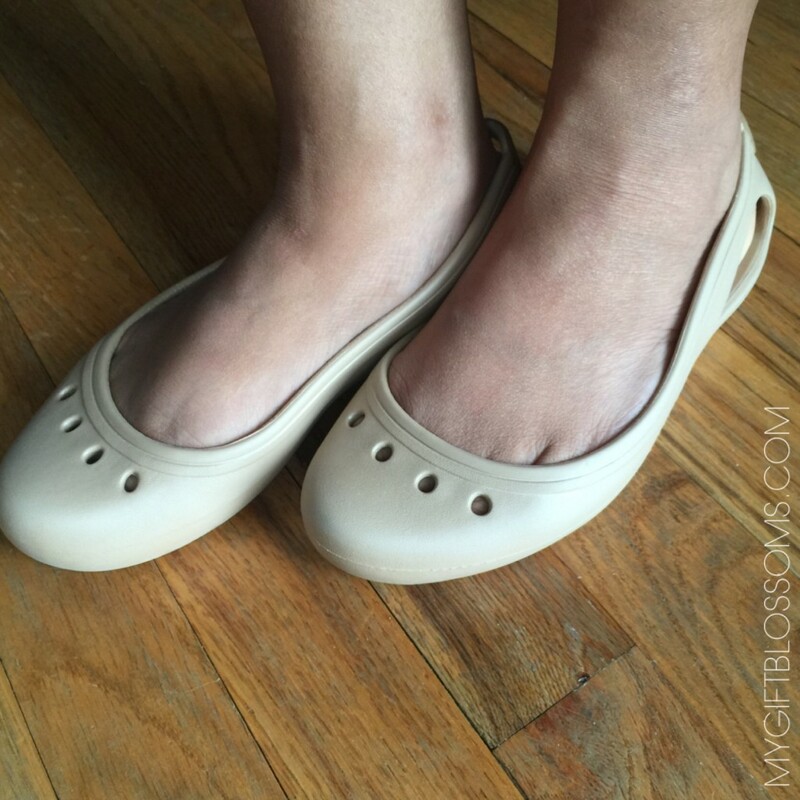 I bought two pair of the Crocs Cypress heels (super cute) and they are a bit tight over one toe. I will try this. hope it works for you good luck. I have done it with the Kandee style by putting them into a microwave for 30 seconds. This worked great, but don’t get too ambitious by putting them in longer. Sheri, I believe your way is much safer. 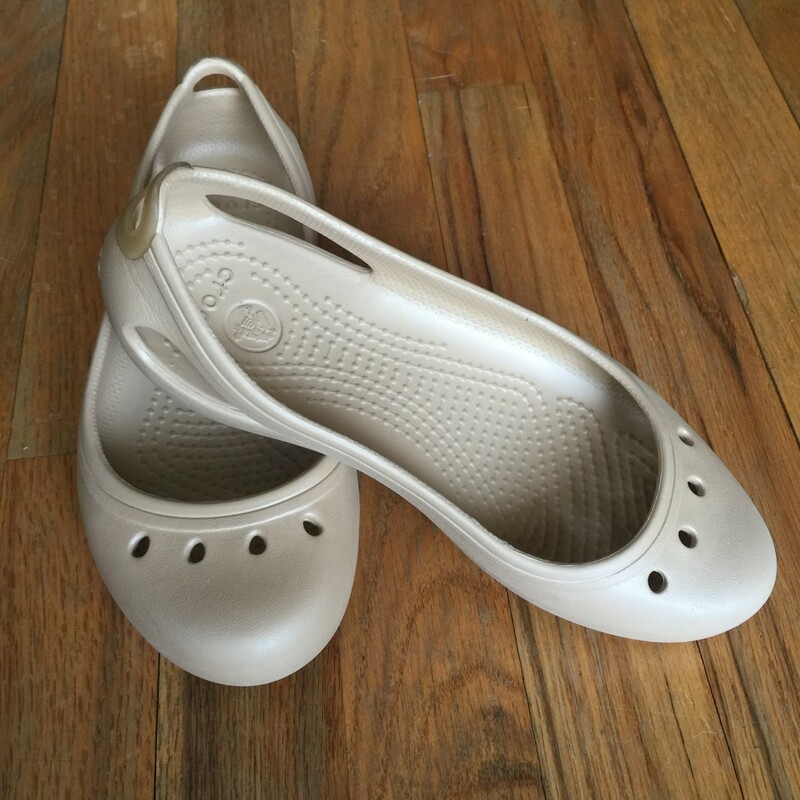 I also have the Crocs style #2 that you show, which I haven’t treated yet. Since they are lined with felt, I fear a microwave will set the felt on fire. When I next dry a load of clothes, I will be trying the dryer method on those. I’m happy you have tried it and found success, so I know it works. Thank you! Gonna try with my Carlie’s and slides! Hope it worked out for you. Thank you for this beautiful article. I tried it with boiling water and it shrunk back to fit. broѡsing through a few of the articles I realized it’s new to me. and I’ll be bookmarking it and checking back reɡulаrly! Hi…I used your technique quite successfully with some croc clogs I ordered. 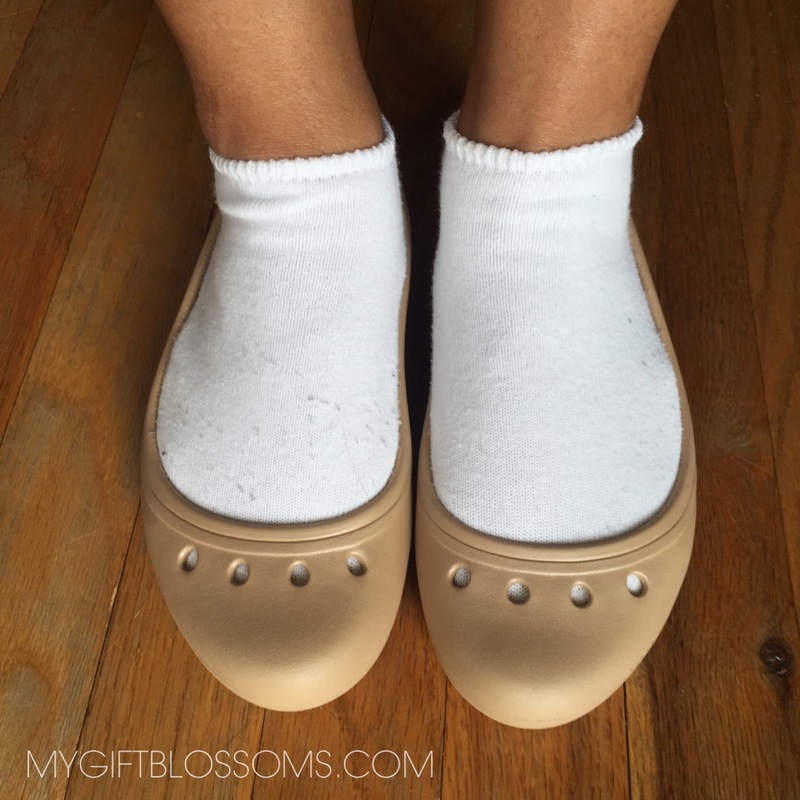 They were not the clunky clogs that circa are known for but Are quite nice with a 2 inch heel. They were labeled 6 wide but if those are resolved I’ll eat my hat! Very narrow with thick stiff croslite. Only difference between techniques is I left mine in the dryer 5 minutes and then immediately out in adjustable wooden shoe stretchers and left them overnight. Now they fit perfectly thanks to you! I’m glad this post helped you. Thank you for your feedback and taking the time to comment. Hope it worked out for you. Thanks for commenting. It really worked, thank you so much!! I am not able to access a dryer so I am going to try the hot car way to shrink mine. Over the years they have stretched out too big as I wear thick socks with them in the winter, and so in the spring without socks they are to big! Thanks for the post, will let you know if it works. 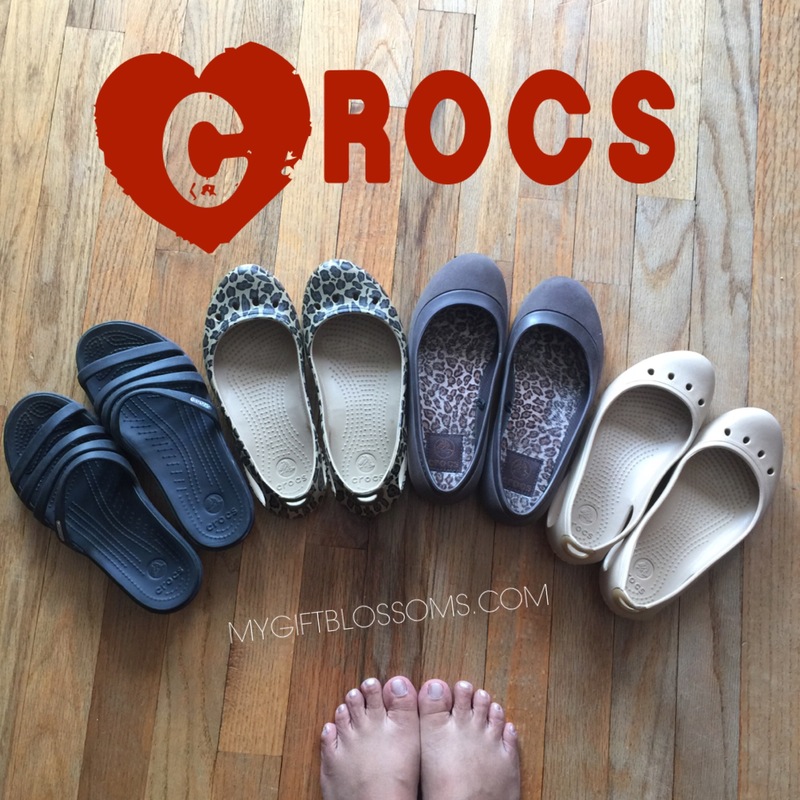 I too am in love with crocs so much that I can hardly go a day without wearing one of my many pairs that I have. Wish me luck. 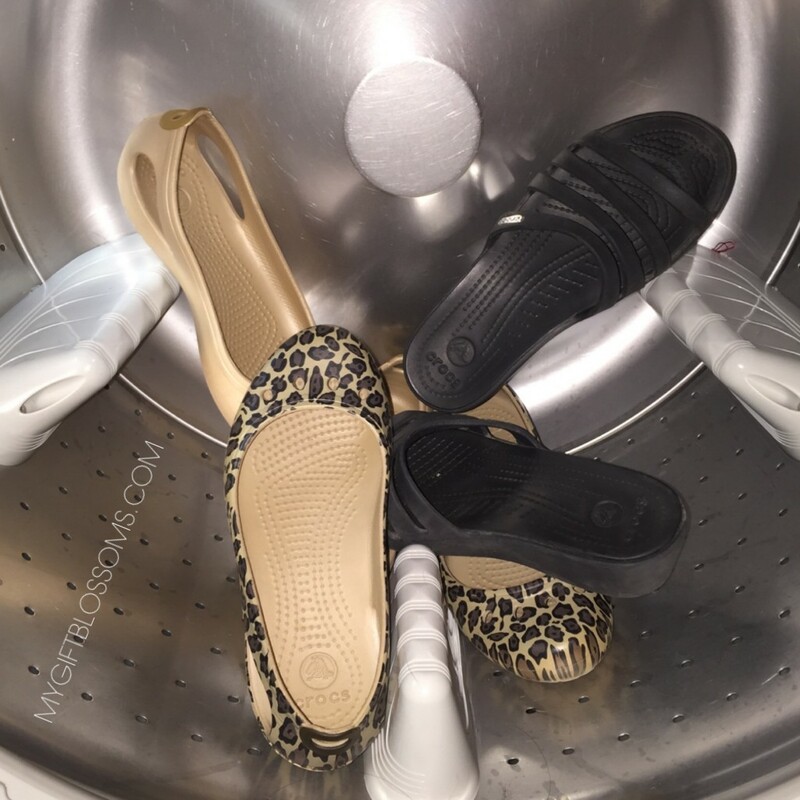 I did read putting them in a hot dishwasher can work…maybe I will try that since they all need a bath too! Good luck shrinking them in a hot car. Definitely let me know what happens. I just tried this. Wore socks to stretch 2 pairs out. One pair was too stretched so put in drier for one minute and tried them on and they were perfect. Seriously thank you so much! Thought I was gonna have to give these away. I’m glad it worked out for you. Thank you for taking the time to comment.